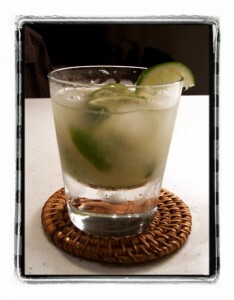 The Caipirinha as we imagine it. 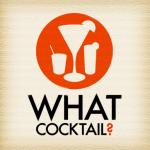 When we heard the subject of this month’s cocktail geek-fest (appropriately known as Mixology Monday) was limes – we were intrigued! How could we say no, really? Keen readers will have noticed that before we’d really even got started we’d hit you up with lime goodness, not once, but twice. While it’s never going to be one of our ‘featured’ drinks, let’s take a look at the most anglo-unpronounceable of cocktails: the Caipirinha. Don’t let the trash talk of; “if you can’t say it don’t order it” put you off. 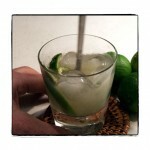 This is a great drink and wonderful way to show off the taste of lime. But let’s be perfectly clear, we’re playing with Brazilian fire water. Caution is advised. Perhaps a brief explanation. 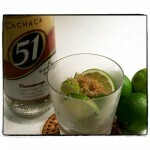 The main spirit is cachaça which is Brazilian in origin. Made from sugar cane it’s very much like rum but with a musty/fruity hints. Honestly, sipped by itself it is rather awful. A South American cousin of Balkan rocketfuel wouldn’t be too far off. Raw. Manly. Not subtle in the least. First, in honor of the theme, we sacrificed a whole lime – cut into thin wedges and tossed them into a chilled old fashioned glass. Then we added some sugar. Our preference is to use the big chunky coffee sugar crystals. Less refined and slow to dissolve, a teaspoon and a half is just the thing. The next step is to muddle. Using a minature baseball bat we grind the sugar and lime into a pulpy mess. In addition to releasing the juice from the limes and dissolving the sugar, the folk belief in the cocktail world is that the sugar causes abbrasions on the skin of the lime helping release wonderful and essential oils. Not something whose scientific accuracy we care to debate before our drink is made. And speaking of being made, we’re almost done. Two ounces of cachaça because we are feeling brave but not Gary Reagan (The Joy of Mixology ) three ounce brave. We are thirsty but we know dinner is a way off yet. Maybe it was the Old Fashioneds that we’ve been drinking, but rather than the snow cone crushed ice carry on, we thought we’d be adult about things and stir the ice cubes to a respectable dilution. This is a sipping drink. And after all the fussing, how did it taste? First there’s that unmistakable musty aroma (this ain’t Daiquiri land), then the tart lime kicks in, followed by the fiery cachaça, but just when we start doubting we made it right – a little hint of sweetness reminds us of our civility. Did that taste right? Back for another sip. Mmm. Yep. That’s right. If we have any complaints the drink we made, it is that perhaps tonight we were a little overzealous on our stirring. A fault entirely of our own making. As for the Caipririnha, when we find ourselves slurping up the last of the now sugary goodness and wondering why it is that they don’t last long enough, we wonder why we don’t drink them more often. That last sip, when the fire of cachaça dies away, is often the best. It is at this time that we conclude – it must be the essential oils in the lime skin that make all the difference, and not the sugar that rubs it off. Thanks to Doug at the Pegu Blog for hosting Mixology Monday LI. Great choice for MXMO! I agree that the Caipirinha is one of the best ways to showcase lime. You get the juice, the aroma, the tartness and those delicious essential oils. Whenever I make my own I usually prefer it not to be shaken and use cubes as you did. Bartenders here in Brazil usually have a heavy hand for sugar and if instead of having it shaken you can stir it, gives you or the costumer a bit more control on how much sugar gets dissolved. I just have one suggestion: stay away from industrial cachaças. As you mentioned cachaça can be rocket fuel, but as with every spirit category there is the good and the bad. 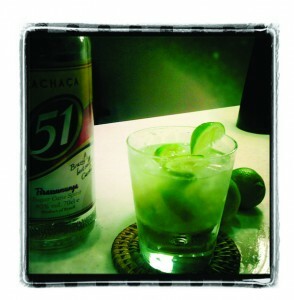 Running at about $1,5 per liter here in my state, cachaça 51 is quite scary. For sipping try to sort out a good aged cachaças, they can be amazing! Artisanal Cachaças can be very hard to find outside Brazil, but very worth it. Hopefully more and more will come your way too. Thanks for taking the time to read and comment Tony. Always great to get feedback. It did occur to me, while I was carefully and proudly positioning the bottle of 51 that I was probably playing with the equivalent of Pepe Lopez tequila. But, I reasoned, if the drink still tastes good who am I to judge. Round here 51 is priced around $30USD for 750ml, so I’m thankful that I even have some. Your point however, is well taken, and I might try some of the others (Cachaca Sagatiba Pura , Cachaca Sagatiba Velha, Cachaca Ypioca Ouro, Cachaca Ypioca Rio). I recall a Brazilian bartender once telling me that every locality had their own brand of cachaca the quality range was outstanding. The best stuff, he argued was some limited run hooch made out locally. He then pointed out that some of the worst was also found that way. Enlightening, but ultimately not that helpful.